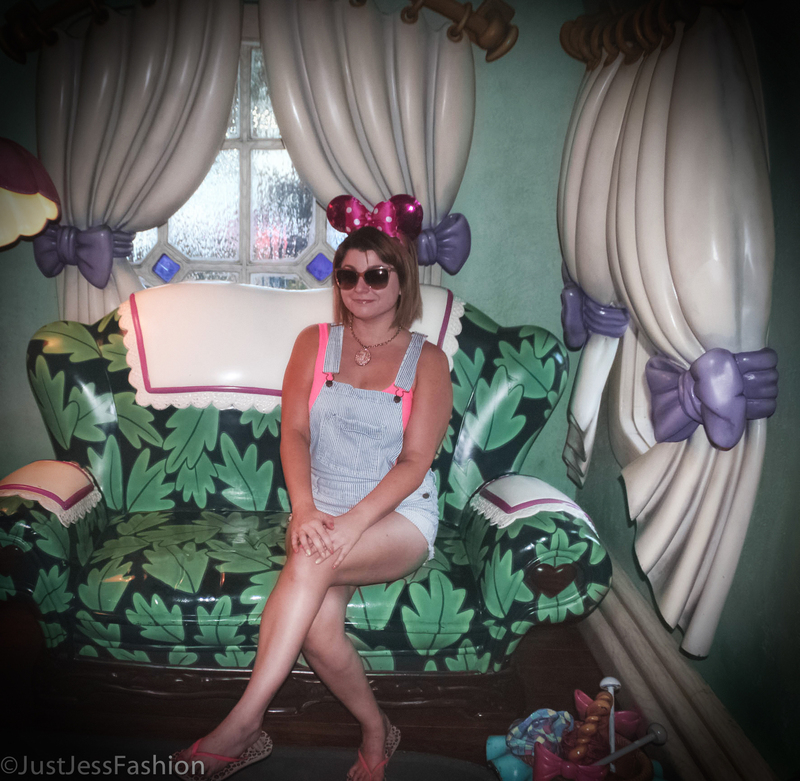 Disneyland fashion | Just Jess Fashion! Don’t get me wrong. 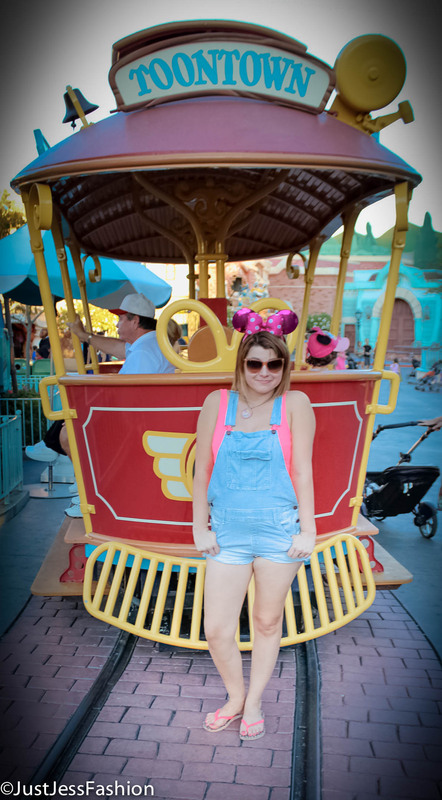 I had a blast at Dapper Day. 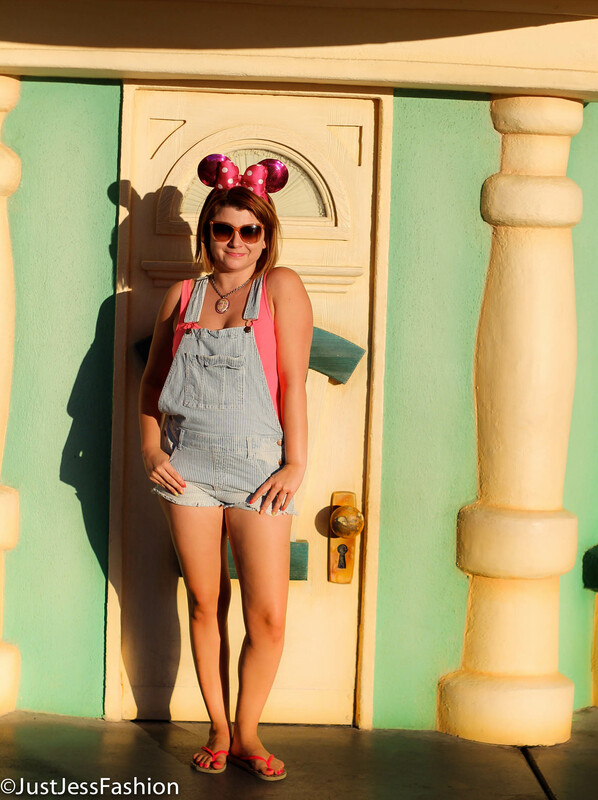 An excuse to get all dressed up and go to Disneyland? Well, I would do that anyways but it’s nice when you have company. 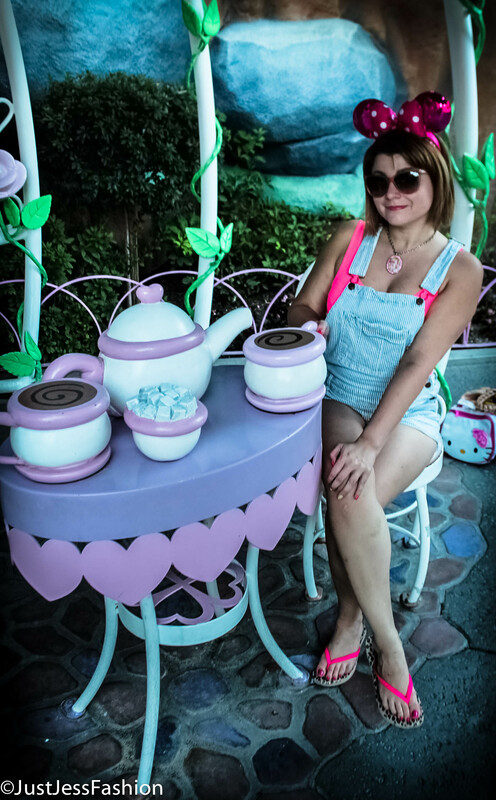 Although I had wanted to debut some of my best fall looks in front of all the fun holiday decor at Disneyland, triple digit heat once again prevented that from happening. 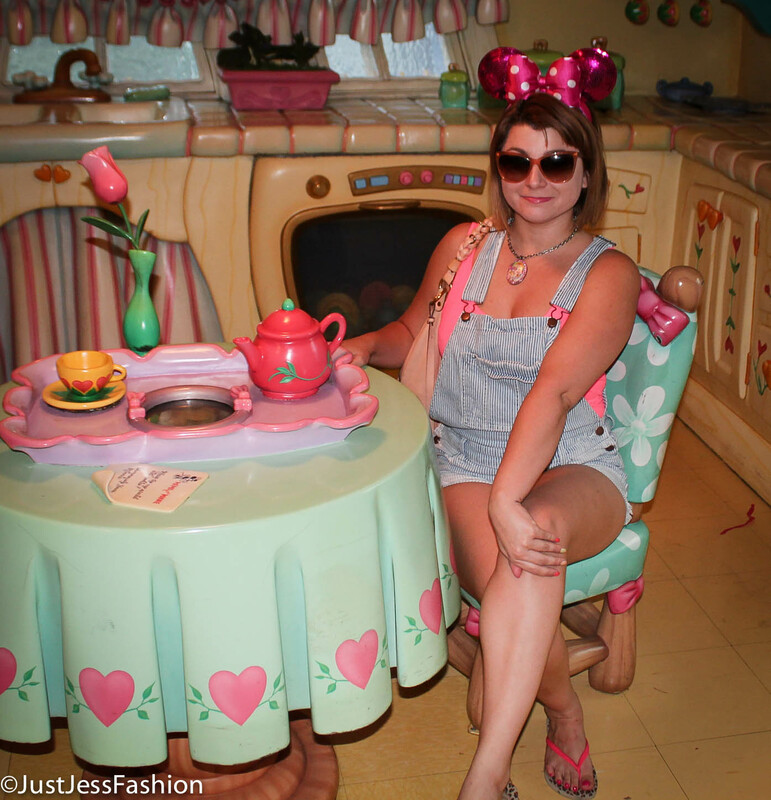 The cool thing about going to Disneyland though, is you don’t have to get dressed up to be in dress code or on trend. Literally, it’s one of the few places I feel comfortable just wearing some jeans, a t-shirt and some flip flops. Let’s be honest, as long as it pairs perfectly with a pair of mouse ears, you’re good to go. Although, since I always have a tendency take a concept to infinity and beyond (sorry not sorry, I couldn’t help the pun which was totally intended) I decided to pay a subtle tribute to the magic maker himself. It’s no secret Walt Disney had a fascination with trains. So I decided to release my inner train conductor and put on my favorite pin striped overalls. Allllll aboard!